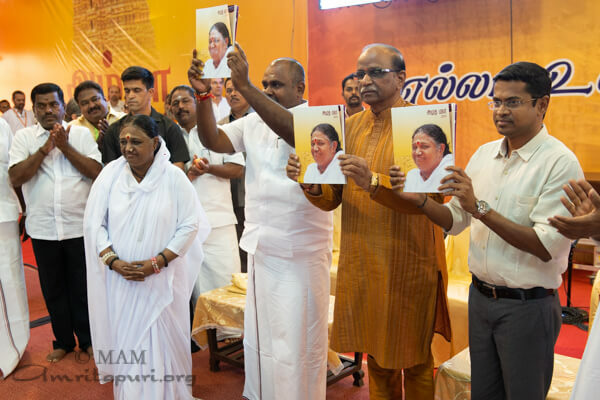 Amma reached Madurai at 2 am after a long drive from Tiruvananthapuram. 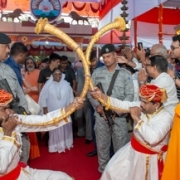 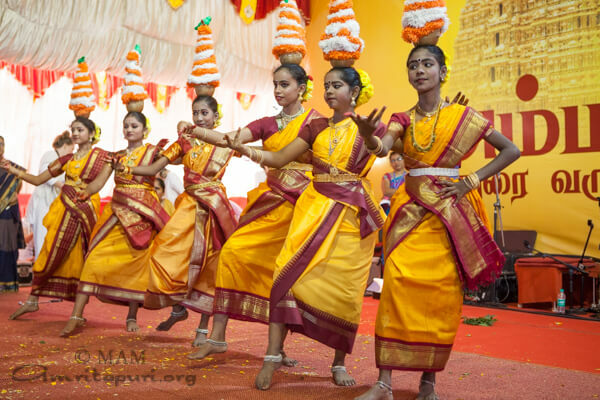 That same day, at 11 am she took the stage to begin the 2-day Brahmasthanam temple festival. 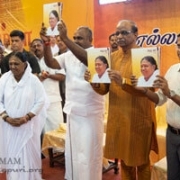 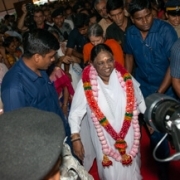 Amma was welcomed to Madurai by several dignitaries including State Revenue Minister RB Udhayakumar, as well as the Vice Chancellors of Madurai Kamaraj University and Gandhigram Univeristy at Dindigul. 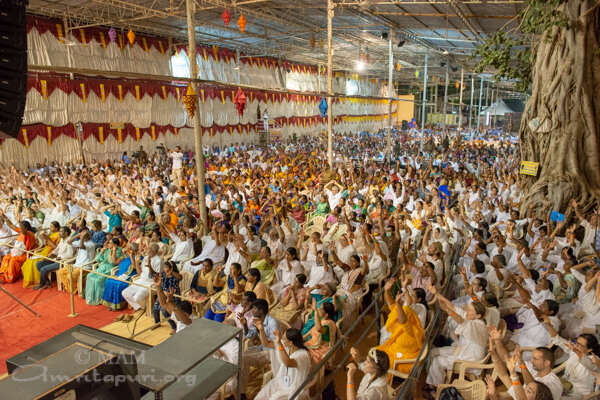 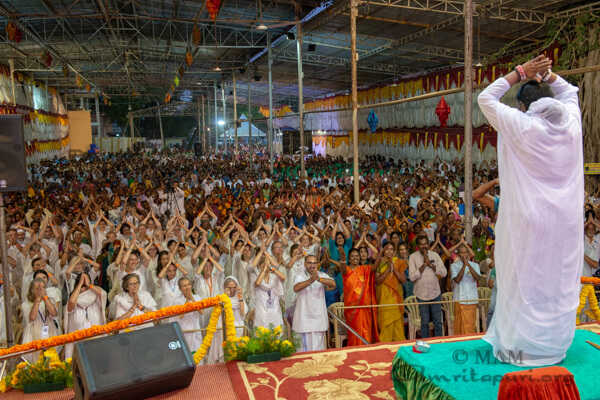 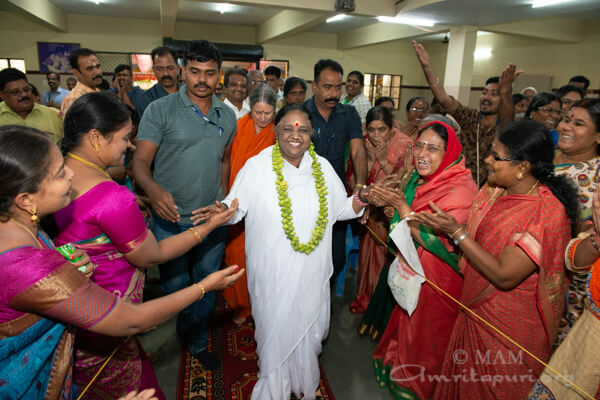 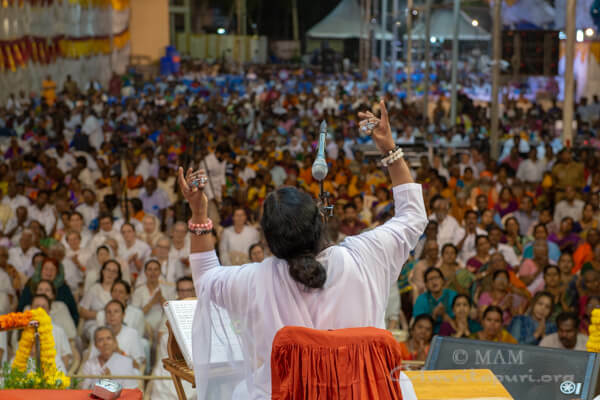 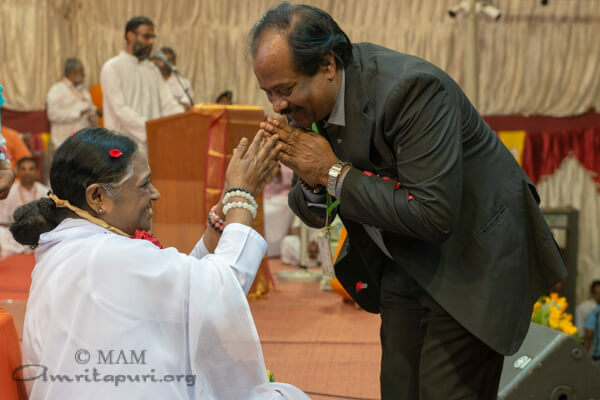 Amma led the assembled crowd in manasa puja and satsang in their native language of Tamil, followed by a new set of Tamil bhajans. 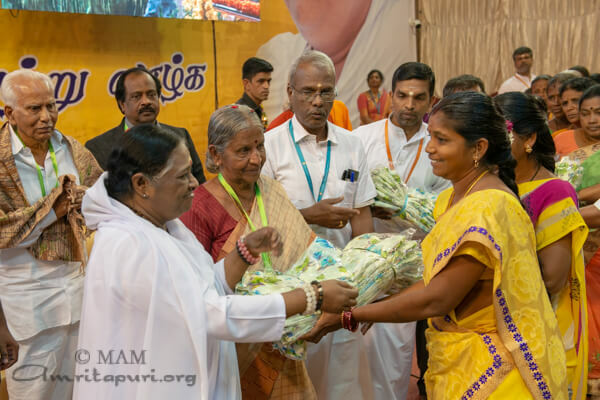 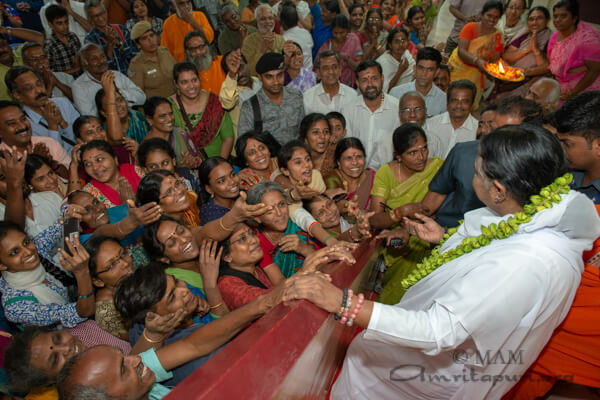 As in Amma’s previous visit to Madurai, devotees brought hundreds of traditional ‘Mulapari’ offerings to Amma. 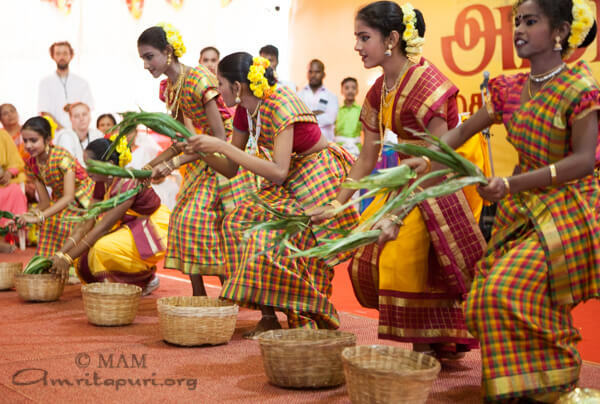 They had undergone a 9-day fast and performed a special ritual that involved the sprouting of seedlings in mud pots (Mulapari). 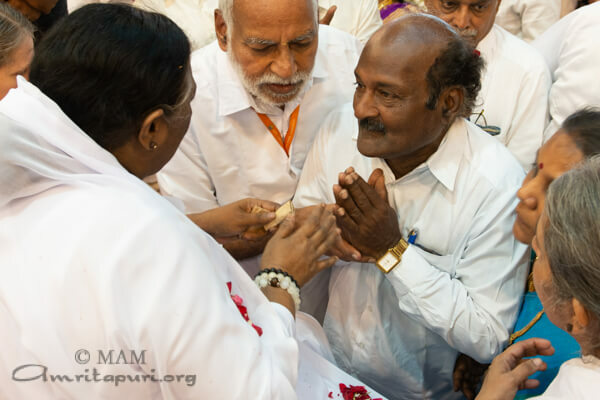 Meanwhile, the priests of the famed Madurai Meenakshi temple honoured Amma, adorning her with a rudraksha crown. 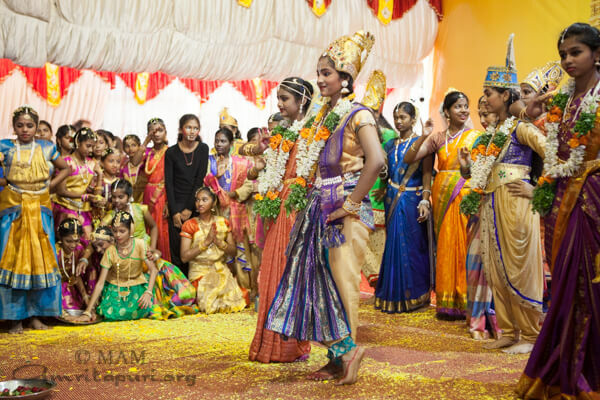 They have been following this tradition for several years. 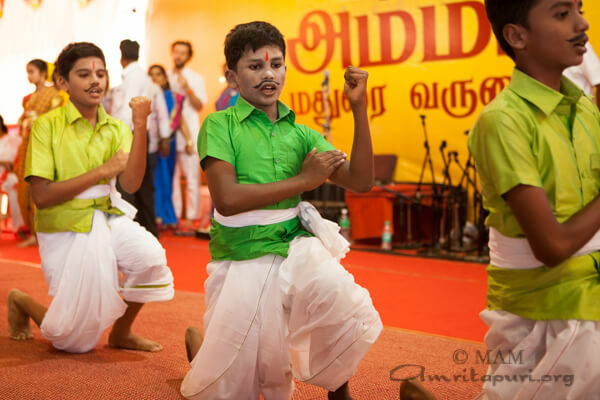 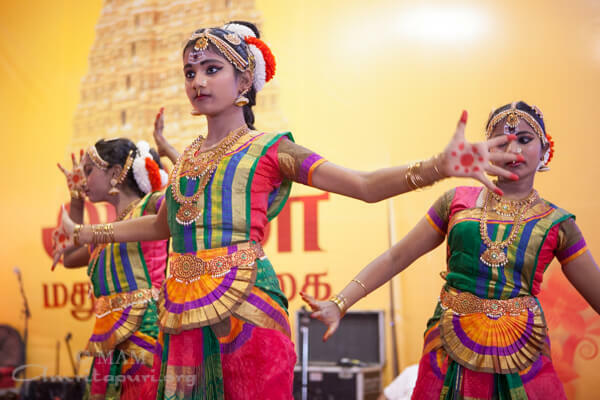 Throughout the darshan, students of Amrita Vidyalayam children staged cultural programmes. The devotees were also treated to a wonderful Veena recital by the acclaimed RJ Rajkumar.